There was a ray of hope for the industry and investors alike when automobile companies reported record sales for the month of March 2012, as compared to March last year. 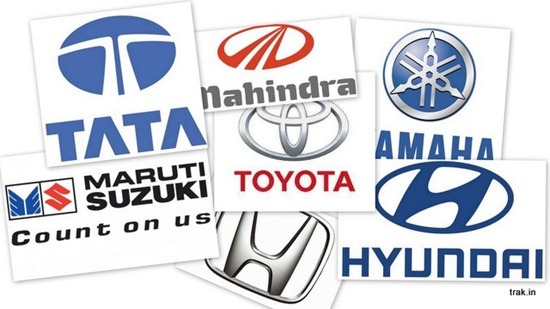 Tata Motors, Mahindra & Mahindra, Maruti Suzuki, Hyundai Motor India, Yamaha Motor India, Honda Siel and even the German luxury car maker Audi reported stunning growth and sales figures for March. Let’s take a look at what the different car companies are saying about their sales in what seems to be like a record breaking month for these giants in the automobile industry. Tata Motors sold 83,363 cars in March 2011. In March 2012, they reported a 20% growth and pegged sales at a whooping 100,414 units. They have more reason to smile because about 36,984 of these units were passenger vehicle sales in the domestic market, which is an increase of 34% and also the highest sales figure ever for that particular segment for Tata Motors in a single month. The drivers of the overall increase in sales figures for March were Nano (10,475 units, up 20%), Indica (11420 units, up 65%) and the Sumo-Safari-Aria segment (6,794 units, up 40%). Domestic sales of commercial vehicles was pegged at 58,063 units in March 2012 which was up 17% as compared to March last year. A total of 47,001 units were sold, out of which 44,342 were in the domestic market, as compared to a total of 37,522 and domestic sales of 35,488 in March last year. This is a whopping increase of 25% sales overall, driven by a 33% increase in sales of passenger vehicles including Scorpio, Xylo, Bolero and the latest addition to the Mahindra Family, the XUV 500. Sales across the board were up except in the three wheeler segment which actually decreased from 5,769 units in March 2011 to 5,089 in March 2012. Yamaha reported a nearly 14% increase in sales in March 2012 as compared to the same month last year. Out of the 41,886 units sold in March 2012 – 29,819 were sales in the domestic market while 12,067 were in the export market. With a nearly 15.6% increase in sales in local markets, Yamaha seems to have a lot to cheer about. Honda Siel delivered a stunning eye-opener by revealing that it sold 11,016 cars in March 2012, as compared to a meager 3,576 cars in the same period last year. The approximate 208% increase in sales has been driven by a higher than expected demand for its small car Brio. The Japanese automobile giant smashed its sales record for March by selling 18,220 units, resulting in 87% spike as compared to last year. This jump was propelled by the Etios Sedan and its hatchback version with 5,104 and 4,034 units sold respectively. Innova too saw a growth of 53% as compared to March last year, with 6,765 units being sold. Hyundai posted sales figures of 59,229 for March 2012, up 6.62% as compared to last year. The growth was driven by sales in the domestic market which were up 22.94% to 39,122 units while the export market saw a decline of about 15.3% from 23,730 units in March 2011 to 20,107 units in 2012. Hyundai Motor India is currently India’s second largest car maker. This comes at the back of a massive 47% spike in sales at 1,002 units in India as compared to 681 in March last year. The increase seems to be consistent with the recent sales trend at Audi in India because quarterly sales figures for quarter ending 31 March 2012 were 2,269 units as compared to 1,611 units in the same quarter last year. Expanding their dealership network in India is also in the pipeline. Not to be left behind, Maruti Suzuki India reported a 3.28% growth in sales figures for March 2012 with 1,25,952 units sold as compared to 1,21,952 in March last year. While this is a reason to cheer for India’s largest car maker, 2012 has been a glum year as overall annual sales figures dropped nearly 11%. March 2012 saw a mix of highs and lows for Maruti as compared to sales figures from March 2011. Jumps of nearly 24% in compact car segment and 58% in mid-sized sedan segment were offset by a 10.16% decrease in sales for its mini car segment and drops in sales for the DZire and Kizashi models as well. Surely a positive report card that should bring much needed cheer to Indian Automobile Sector! Indian CEOs and Executives on social media: Should they or shouldn’t they? Honda brings Sub 5 Lakh “Brio” to India! Mercedes planning some big and interesting developments for India! Cars that Indians love to buy !